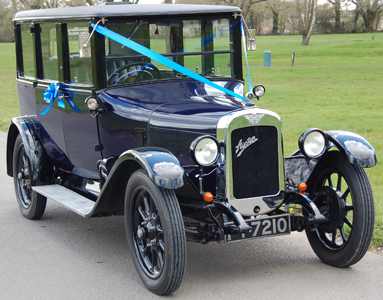 We are a well established wedding car hire company and our vintage vehicles are owned and driven by enthusiasts. 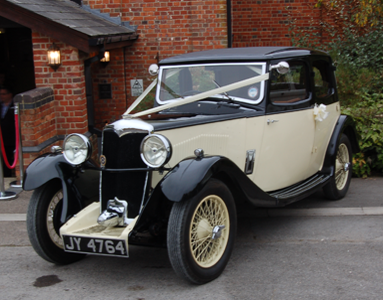 Specialising in providing a quality and highly personalised uniformed chauffeur driven wedding car hire service – we even carry an umbrella should it rain! 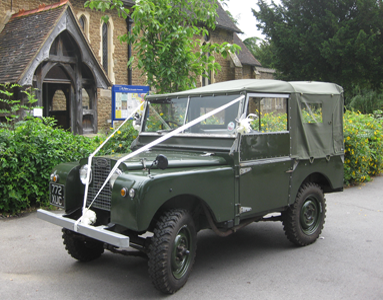 Swanmore Wedding Cars cover the following areas: Fareham, Portsmouth, Southampton, Winchester, New Forest, Romsey, Alton and Petersfield. For other areas please contact us. We are pleased to provide single or multiple journeys with a maximum standard hire of 4 hours from leaving and returning to our base, with longer hours by arrangement. Choose from one of our immaculately maintained cars and the event is tailor made to your requirements. Book your dream wedding car today. We are able to offer a discount for multiple bookings. Just a quick note to thank you for making our wedding day so special. We really appreciated all the lifts you gave us on the day, the bridesmaids in particular felt like royalty! I just wanted to thank you for the brilliant chauffeur service you provided on my wedding day in April. The wedding car was everything I had hoped for and thank you so much for your promptness and professionalism and for making me feel so special. It was a real treat to get in and travel in style in an amazing and immaculately presented car and made a perfect and very memorable start to a perfect day.